Make the outdoors come alive with swing set accessories by Creative Playthings! Swing Set Accessories have come a long way! 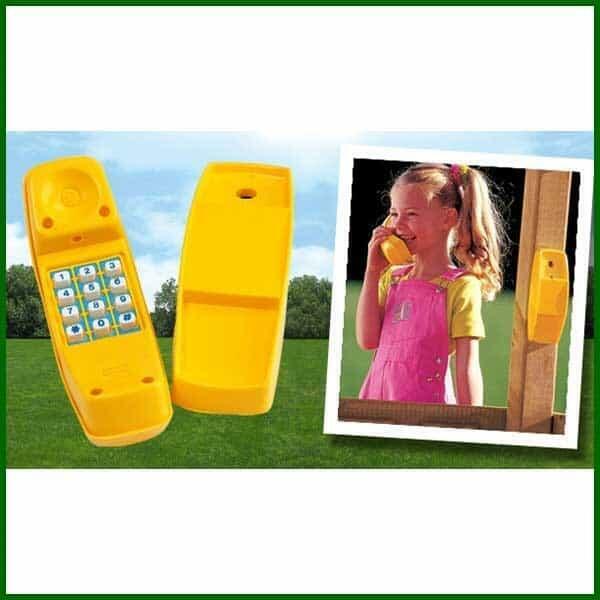 Add one or two telephones to spark the imagination of your kids' outdoor play. This telephone is easily added as a swingset accessory to any wood play gym. It lets kids feel like they are keeping up with what is going on. Just like the grown-ups (only without the monthly bill)!